Forecast was for rain but we had sunny spells. Good for photos. 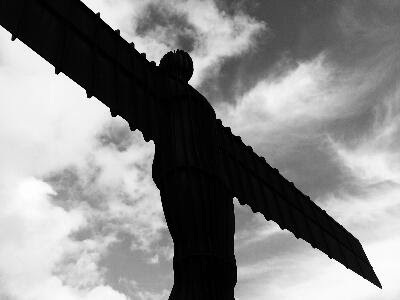 Started with Durham then checked out and drove to the Angel of the North. The shot below was taken on my phone. Proper photos were taken on my Mamiya 7 camera using Ilford FP4 120 film. Jan now driving us to Edinburgh for a few days.